Pots, Trays & Saucers etc. Currently available in 600w, the Metta has the same great component quality and high output that you would expect from any of our LUMii ballasts. Fitted with super imposed-pulse ignitors, the ignition voltage is generated without placing a high voltage load on the choke, therefore extending the compact life. The LUMii Metta ballasts are well vented, meaning they are very quiet and cool running along with being safe and reliable. Fitted with IEC connector cord and mains lead, our newest addition is designed and tested in the UK. 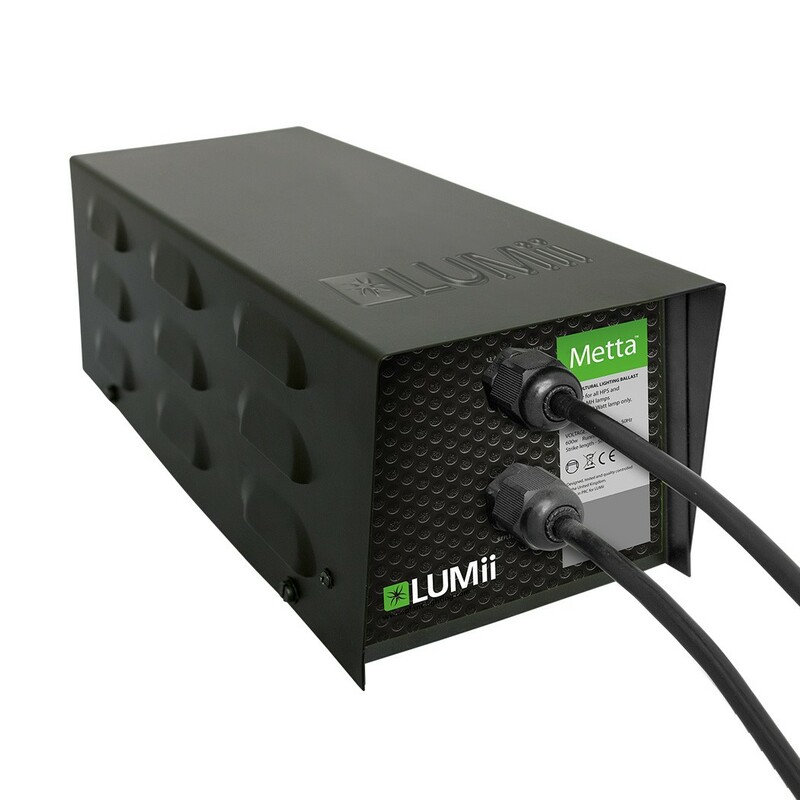 The LUMii Metta 600w ballast is our first metal cased compact ballast. Currently available in 600w, the Metta has the same great component quality and high output that you would expect from any of our LUMii ballasts. © 2017 Home Hydro Hydroponics is a trading style of Ash Park Group Ltd, Rugby, Warwickshire. All Rights Reserved Worldwide. E & OE.